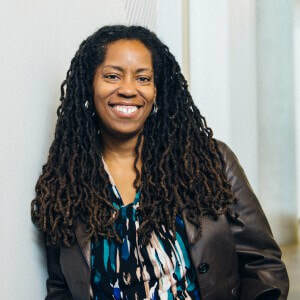 Nichole Pinkard, Ph.D., is an Associate Professor in the School of Education and Social Policy at Northwestern University. As the founder of Digital Youth Network, Dr. Pinkard’s passion for educational technology drives her goal to help prepare Chicago's youth for success. She is also the co-founder of Inquirium LLC and Remix Learning, home of iRemix, a social learning platform that connects youth’s learning opportunities in school, home, and beyond. Dr. Pinkhard holds a B.S. in Computer Science from Stanford University, an M.S. in Computer Science and a Ph.D. in Learning Sciences from Northwestern University. She has been honored with the 2014 Northwestern Alumni Award, the 2010 Common Sense Media Award for Outstanding Commitment to Creativity and Youth, and the 2004 Jan Hawkins Award for Early Career Contributions to Humanistic Research. She has also earned an NSF Early CAREER Fellowship and a grant from the John D. and Catherine T. MacArthur Foundation for research on how digital media affects literacy.